Re: I just tried DipTrace for the first time, and I like it a lot! There are still things about DipTrace that piss me off to no end, and I really wish they'd address them. That said, if you can live with some of the issues (and maybe some have gotten better in the 3.0 release) it's really tough to beat their interface. I keep trying to use alternatives, but always come back to DipTrace. I've been using Altium for work, and KiCad for hobby for a couple of years now. 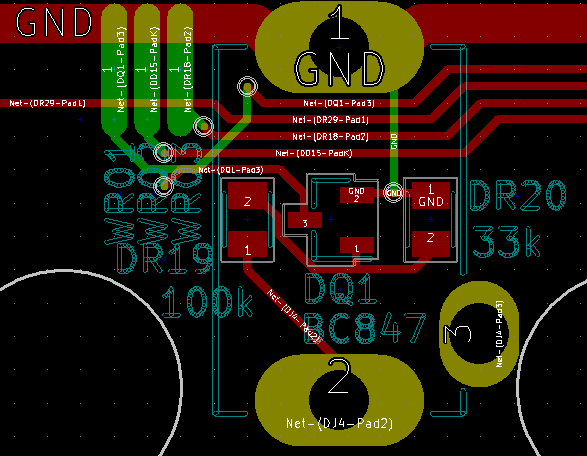 While I like KiCad and have made it mine in some ways - I'm a bit tired by it and its quirks. Because of this I've been on the lookout for a new and not free package. Something stable I can live with for a few, preferably many, years. I've tried a lot of them now (circuit studio, eagle, design spark, orcad, easyeda and a few other web based waste-of-times) and I think I've found my favorite! So close to the Altium feeling with a fraction of the cost. Diptrace is awesome, I can tolerate it running via Wine on my Mac's simply because it's so darn intuitive and just takes an all round commonsense approach to design. Oh and all my PCB's designed in DT have come back perfect from Elecrow. A couple of newbie questions since I'm deciding what to start learning CAD for electronics on. Does DipTrace include through hole library components? Can schematics be exported to analysis programs? Never done it myself but allegedly, according to Google, someone has done a roundtrip between DipTrace and Multisim. you can export pcb+schematics as some other formats etc. (PADS etc). (I've not done this stuff at all so cant comment on its quality). I personally don't like their through hole library, but it's no problem because it's so easy to make patterns and components. I just made all my own patterns for through hole and now I have a library of everything I use. That's one thing that really convinced me to ditch eagle, making your own parts from scratch or modifying existing ones is just so painless by comparison. Trying to do the same in eagle feels like you are messing with dangerous voodoo magic! Though coloring net classes is almost as useful. In a weird way maybe even more useful, as it forces me to set those up, and then think in general abstract terms instead of having to remember. I.e yellow is impedance matching, blue is power etc. One less thing to have to constantly remember I guess. Still miss it for small quick projects though. The thing I like is how easy and fast you can do things, does not have the most amazing graphics like Altium, but is direct to the point, to make the schematics and PCB, fast and easy , I liked a lot, and I'm afraid my Altium will be dormant waiting for the 2% projects that need things that diptrace can't do. I have decided to go for it. All the things that really matters for me works as I want them to work. Library management and super fast component and pattern creation. My only disappointment is being unable to bind in additional elements in a foot print (Pattern). I have lots of QFNs and want to have standard thermal vias integrated into my custom foot prints. At the moment, I have to add then manually every time I place the part. I certainly have added extra through hole pads in the library to mosfet footprints so that I can choose different mosfets to handle different power requirements (on the same board design) ........ so maybe in ver 3.2 you can now do that with vias for your specialised layout. Otherwise, you can save it as a mini pcb layout & simply cut & paste it into each new board design.